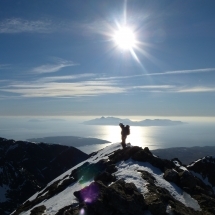 Skye Guides is a small company providing a range of services similar to that on offer through many mountain guiding bureaux in the Alps. We still have our original base in Luib but now run the business from Skye Basecamp in Broadford. Established in 1995 the company has built a reputation for providing outings, instruction and guiding of the highest quality. 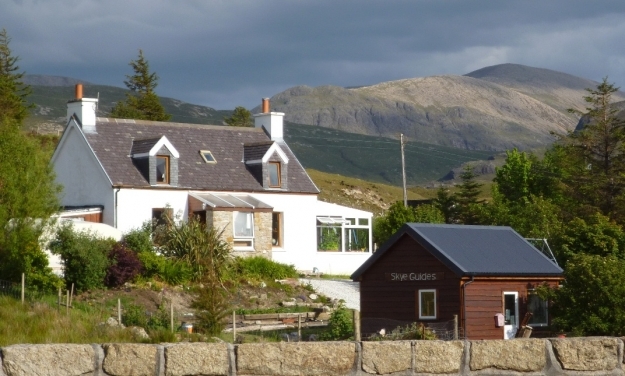 Your booking is made through Skye Guides Limited and confirmed by paying a deposit. 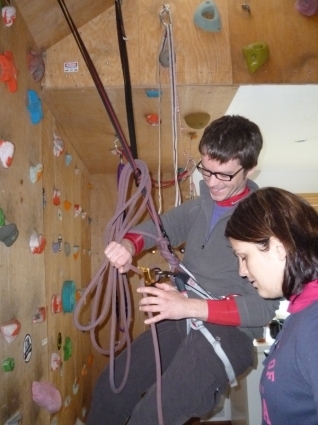 This includes a small fee for hire of technical equipment such as harnesses and helmets. The balance of payment is due 8 weeks before the date of your booking. Bookings made less than 8 weeks before the outing must be paid for in full and we will explain details when you confirm. We guide a broad spectrum of clients with diverse objectives. 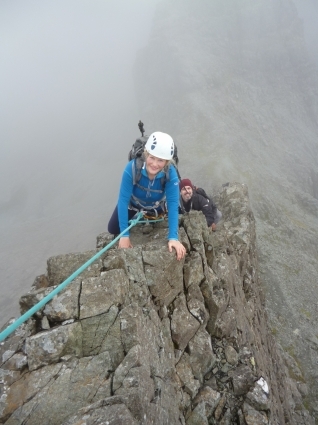 On any given day we can be guiding Cuillin Munros, introducing clients to rock climbing at Neist and Traversing the Cuillin Ridge. We are proud of our island, our mountains, the fantastic routes on offer and of the quality of guiding that we provide. Clients, visitors and climbers are all welcome to call by and visit us in Luib for information, ask questions and meet their guides. For a good insight into how we operate see What to expect. More details on our wonderful Isle of Skye are available on the Why Skye page.